It's not hard for me to put together an Valentine's Day outfit. I own enough pink clothing to clothe a sorority house! 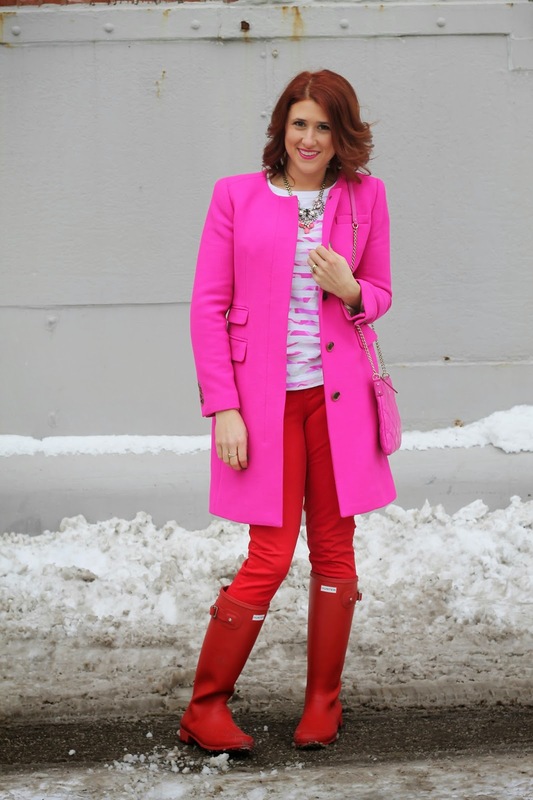 I grabbed all my favorite pink and red items and threw them all together. Turns out this isn't far from something I would wear on any other day! In fact, my husband didn't even realize it was my Valentine outfit for this post till I told him. Clearly not one to shy away from color. Have a day filled with love and lots of hot pink! Purse: Kate Spade "Gold Coast Ginnie"
Oh you are totally speaking my language with this look! This is awesome. Happy Valentines Day! love this hot pink look! Happy Valentine's Day! Love pink and red together! Not for the faint of heart, looks great! Perfect colors for Valentine's Day! You look so cute! Super adorable Valentine's outfit, no wonder Andrew thought nothing of you wearing it, you pull it off perfectly! !